Adobe collects personal information for accounts and purchases of their products. So if you sign up for an Adobe ID, register through their website or contact customer support you will be sharing personal data. Adobe apps and websites also collect personal information from you. When you register for an Adobe account or contact customer support, you share your personal information with them, such as your name, date of birth, company name (if applicable), email address, phone number, address, country, IP address, payment or billing information (which only applies to product purchases), eligibility information for educational purposes, types of apps and websites in the Adobe products you use, and customer support ticket information. In addition to this information, apps and websites through Adobe collect other information from you as well. For example: type of browser and device, website that sent you to Adobe, search terms and search engines that led you to Adobe, analysis of your content that you share through the app or website. If you sign into an Adobe app through a social media account, Adobe receives your demographic information available on your social media account. Provide Adobe apps and websites that you register to and any other products or services requested. Send you important and marketing emails. Research on how you use their services. Better customize their apps and websites. Finding and fixing any issues with their services. Send surveys to help improve their products. Reply to any complaints or comments you send them. Comply with any legal reasons. Show you ads relevant to your interests. With an Adobe account you can access the apps you paid for and any trials you may sign up for on their websites. You can also contact support easily and pay for any new services if you so desire. If you have an account you can post comments, upload pictures, and submit content for others to see. 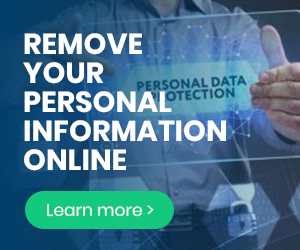 Edit your personal information that is shared. Delete any content you have shared. Do not purchase any services or products through them. Delete your Adobe ID by sending them an email. You can fill out their contact form on their website or email them.